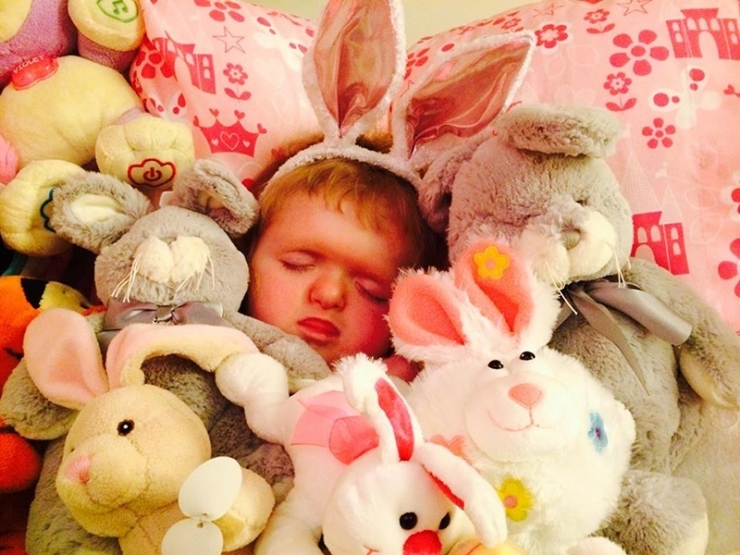 Kayleigh sits quietly in her hot pink wheelchair, watching “Peppa Pig,” her favorite cartoon. You can’t help but smile at her curly blonde hair, cute pink glasses, and flair for accessorizing. 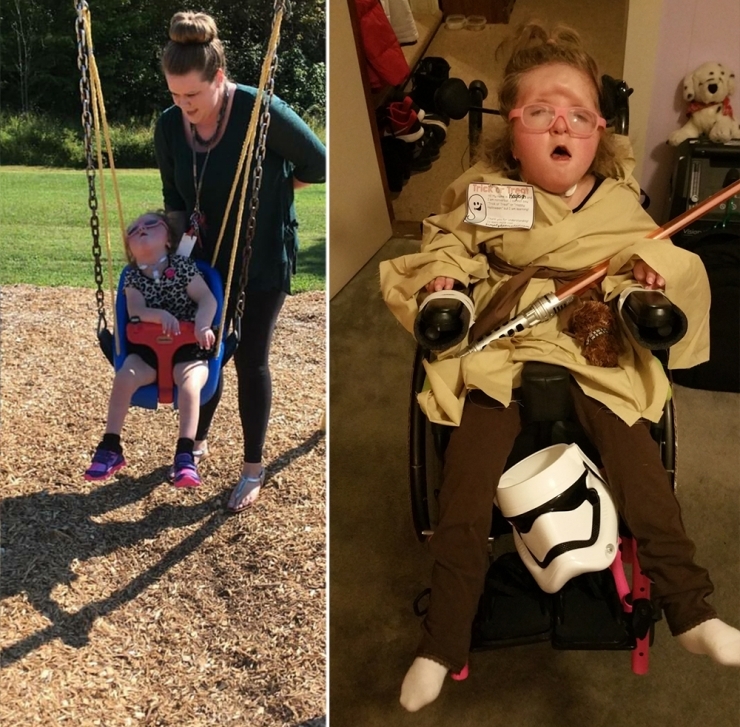 And while there are lots of adorable first-graders in wheelchairs (though far fewer who can mix patterns with ease), you can tell just by meeting Kayleigh that she’s something special. At just six years old, she’s conquered more challenges than most people face in a lifetime – with 14 surgeries, three flat-lines, and a list of invasive procedures that read like a page from “Grey’s Anatomy” – all after defying the odds from the moment of conception. Kayleigh’s parents, Phylicia and Chris, hadn’t planned on becoming parents at all. His diagnosed infertility and her prescribed birth control made having a baby highly unlikely. In November 2009, however, all bets were off. “Kayleigh has been a miracle to us right from the start,” Phylicia explains. Though she was only 20 at the time, Phylicia’s Type I diabetes and chronic health issues sent her right past GO and into the high-risk pregnancy category. Through routine blood work and advanced ultrasounds, the couple learned their baby’s gender (a GIRL! 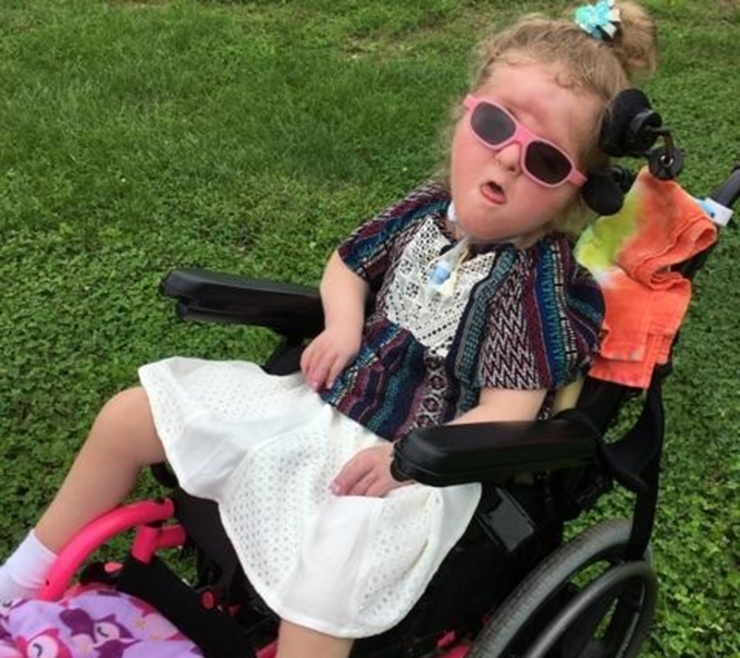 ), but also several areas of concern: an elevated chance of Down syndrome, an irregular skull pattern, and a spot on Kayleigh’s heart that could either be a shadow or a perforation; they would have to wait until delivery to find out. As you can imagine, the countdown was excruciating. But five weeks before her due date, and long before her parents were prepared for the road ahead, baby Kayleigh was born. That’s five weeks too soon if you’re keeping score. Underweight, under-developed, but overwhelmingly surrounded by love, she was rushed to the Neonatal Intensive Care Unit (NICU), where Phylicia and Chris learned the full extent of their baby’s condition. “When we were finally able to see her, she was the most beautiful thing we ever saw. It was love at first sight,” gushes Phylicia. But there were issues. Kayleigh was born with Apert syndrome, a rare genetic disorder affecting about one in 165,000 newborns, characterized by premature fusing of the skull and webbed fingers and toes. She also had a cleft palate. And that dark spot on Kayleigh’s heart? It was bad news. 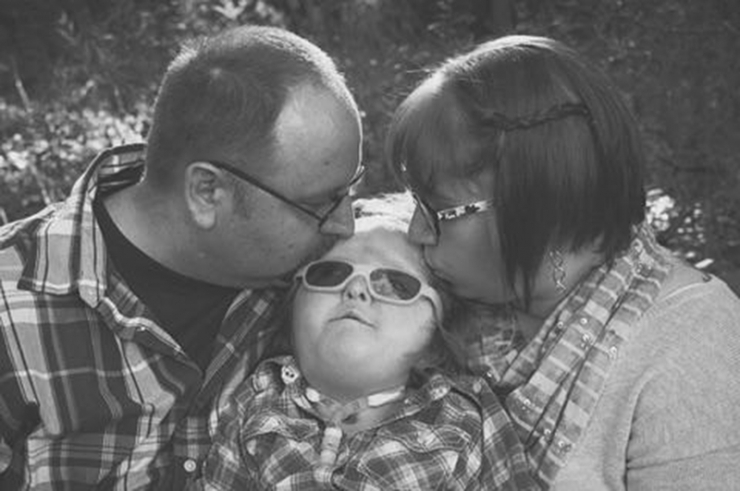 Doctors explained that Kayleigh was born with tetralogy of fallot, or holes in her heart. Four to be exact. All of those conditions required surgery. After two long months in the NICU, including three gut-wrenching brushes with death, that little fighter went home. Miraculously, Kayleigh’s first heart surgery, at just six months old, went off without a hitch. That was about the last time things were simple for the Guthries. Just before her first birthday, Kayleigh suffered a brain injury after aspirating on her own saliva; doctors prepared her parents for the worst. Despite the grim prognosis, Phylicia and Chris refused to give up hope. “We kept talking to her and telling her that we loved her so very much,” Phylicia recalls. Once again, baby Kayleigh triumphed. She went home with her parents after a grueling three month stay in the Pediatric Intensive Care Unit (PICU). She began to grow, stayed pretty healthy, and started school. Seems like a good place for the happy ending, right? This is a miracle child we’re talking about. Phylicia does her best to give Kayleigh a normal life, right down to running boring errands together. 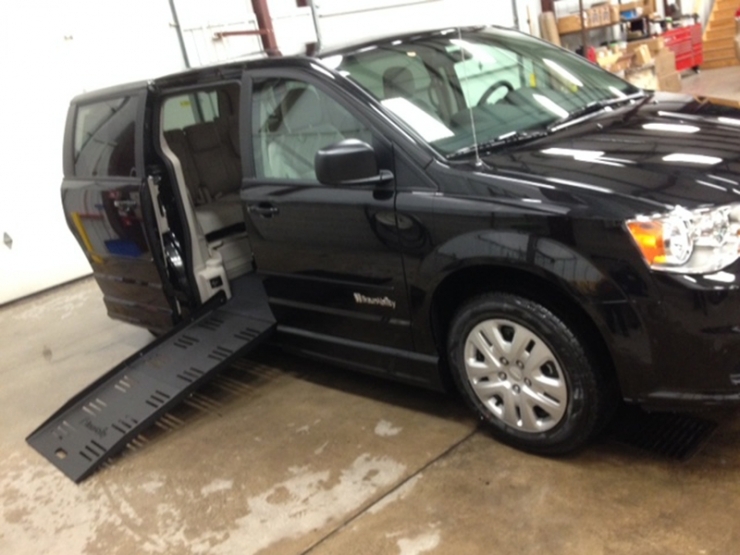 They do other important things that require transportation, too, including going to school and doctor appointments. 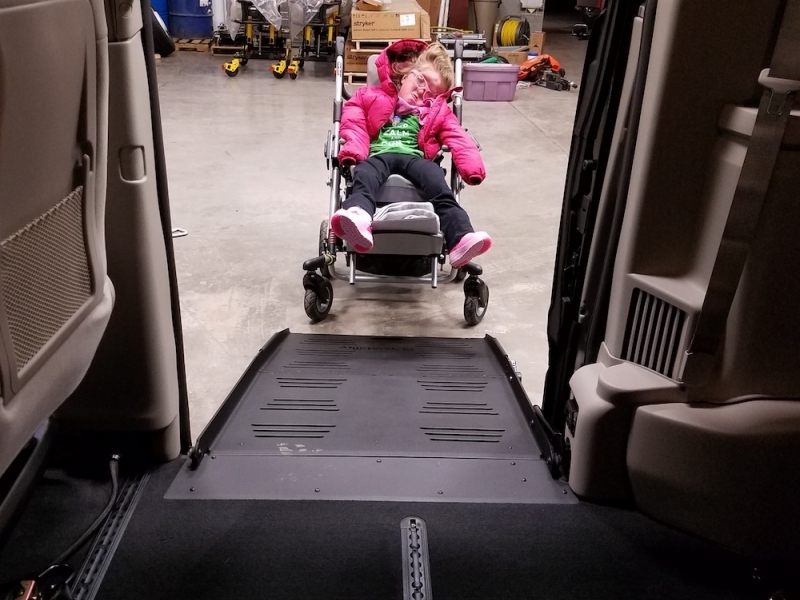 For most families, hauling kids and all their stuff is a pain, but Kayleigh relies on her parents and her gear for every aspect of her mobility. Loading Kayleigh and all her stuff into the car, then unloading when they get where they’re going is difficult and time-consuming. 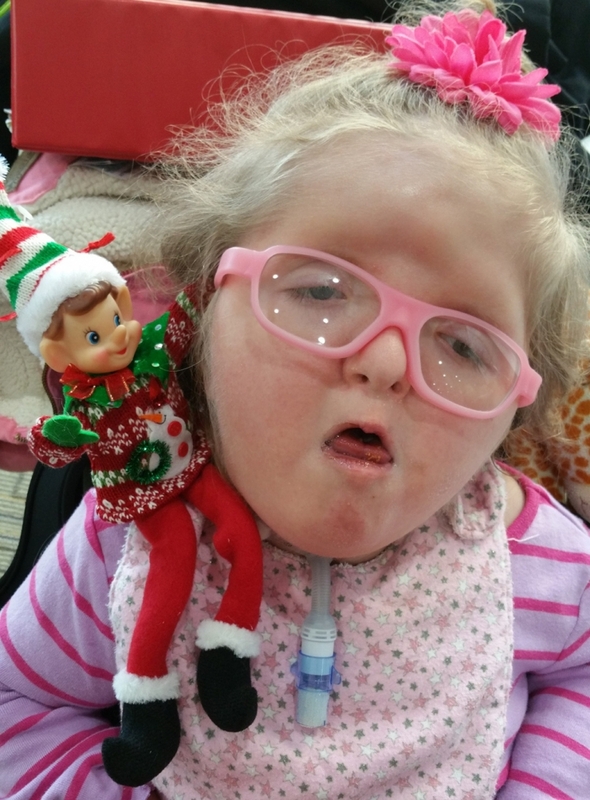 With Kayleigh thriving and growing bigger every year, the task is pretty daunting. Chive Charities wanted to take a load off the Guthrie family and make at least one aspect of their lives easier. 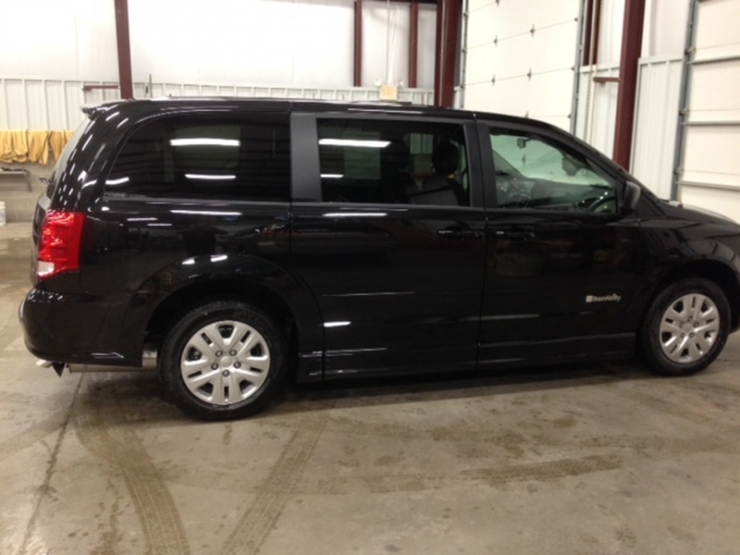 With YOUR donations to Green Ribbon Fund, we presented Kayleigh and her rock star parents with a $44,000 grant to fund this handicap accessible 2017 Dodge Grand Caravan through BraunAbility. Now Phylicia can load her daughter straight into the van along with all the accouterments needed for safe, happy travels. It’s one less thing to stress about, and means a lot more time to enjoy Kayleigh’s effervescent personality. Chive Charities is honored to be part of their joy. THANK YOU to each and every member of Green Ribbon Fund! If you’re not already a green member, join HERE and start making the world 10% happier.